This Equipale lounge chair has an overstuffed cushioned seat and back and is crafted from tanned pigskin and Mexican cedar strips. 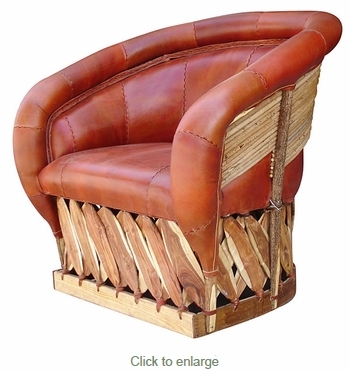 Our Equipale lounge chairs will create a southwest or rustic atmosphere in any room of your home. Can be used indoors or on a patio.